Welcome to the site, btw! I had been trying to help another member on here find one of these this past summer. As you've probably learned, they are extremely hard to find intact as they are molded plastic. There is one still on a car in a yard I often visit to find parts. It looked to be undamaged; except one of the lower grills is missing. Have no idea what they'd want for it. Nor, what shipping would be from MN to wherever it is you live. Let me know if interested and maybe I can get out there before winter finally decides to show it's face around here. If it's not busted up I would be interested. I have the grills. Don't know what it looks like, but there is a 73 Grand Prix at the pick n pull in Summit, Il. Maybe someone here is close to that location. 77camino wrote: Don't know what it looks like, but there is a 73 Grand Prix at the pick n pull in Summit, Il. Maybe someone here is close to that location. Rz7ft4 wrote: If it's not busted up I would be interested. I have the grills. I haven't had a chance to run out and check on the one up this way. Sent an e-mail asking for a price, but got no answer...which doesn't surprise me as they are not the most sophisticated operation. But, just to be clear, shipping on something like this from MN to FL could easily run well over $100. In fact, if you use a guesstimated dimension of 72"x18"x10" for box size, FedEx Ground (which is always the cheapest of the Big Three carriers) shows $146...with a declared 5% increase after the first of the year (plus cost of shipping supplies). Just wanted to throw that out there before I spent time searching/pulling it (assuming it's intact). Depending on the price of the valance I can handle the shipping. Thanks for all of you help. I am only looking for the front valance that goes under the front bumper. oh you want the BUmper filler ???? or the little spoiler type thing under the bumper ? I still haven't had a chance to run out to that yard to check on the one I mentioned. They were closed for two wks during Holidays. Maybe run out there before it really gets cold this weekend. 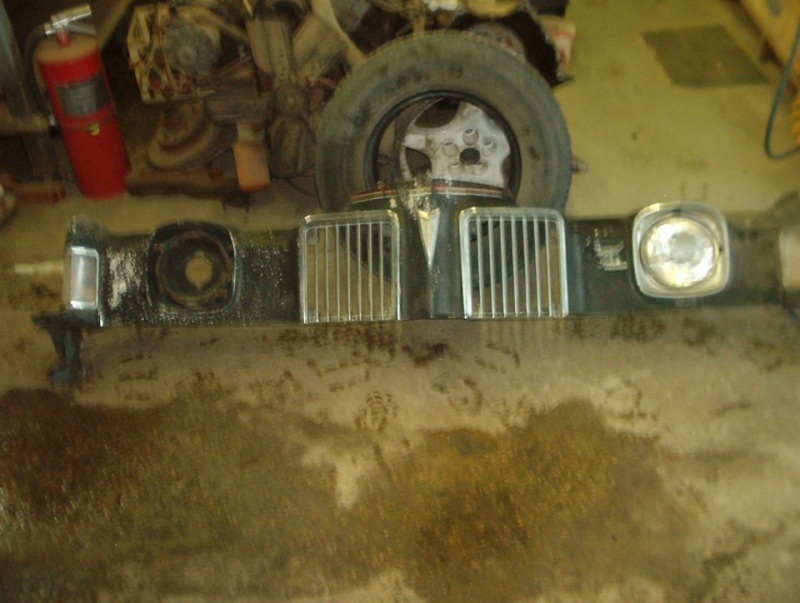 73 pontiac add Follow this link to See the valance below the bumper. No, see the valance below the bumper with the grills. 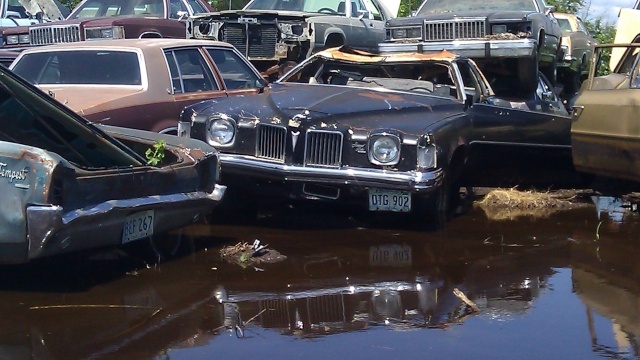 I was out at the yard last weekend that has the '73 that I think may have a good front valance on it. Unfortunately, there was still standing water in front of it...in addition to another couple of cars set in front of it. The yard owner did say he'd move it for me if I give him a little advance notice. I also got an idea of price...around $175 (plus shipping). If that is within your budget, let me know and I'll make a point of getting back out there in the next week or two. I thought that I had responded earlier. Price and shipping sound fine it it's good shape and not broke or cracked.